1. Wash and soak the Rajma overnight or 8 hrs. 2. Chop the onion into thin and small pieces. 3. Wash and chop the tomato into small pieces. 4. Wash the green chilly and slit it into halves. 5. Wash and remove the skin of the ginger. 6. Blend ginger and garlic into a fine paste. 7. Crush the pepper into powder like particles. 8. Heat the oil in a pan or cooker, add cinnamom, clove, cardamom, star anise, Bay leaf, green chilly and chopped onion. 9. Saute them well till the onion becomes golden color. 10. Add ginger and garlic paste, and then sauté for a minute. 11. Then add the chopped tomatoes and fry till it becomes mushy. 12. Add turmeric power, red chilly powder, coriander powder and salt. 13. Mix them well for a minute. 14. Add the soaked rajma with water and pressure cook for 5-6 whistles. Or cook the rajma separately and add it to the above mixture. 15. After the pressure has gone, add the crushed pepper corns. 16. Cook it till it becomes thick gravy. 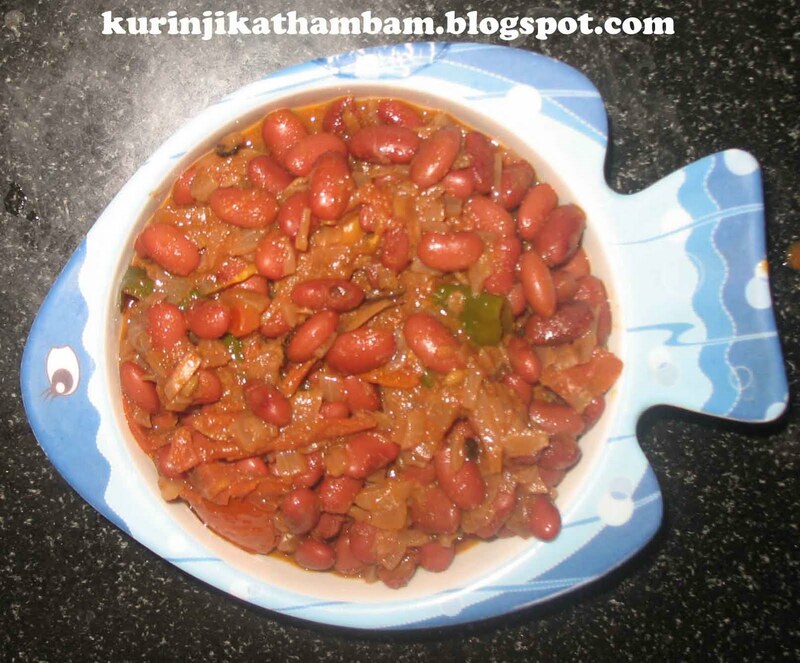 Serve Rajma Pepper Curry with chapathi.